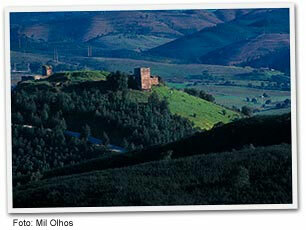 Aljezur Castle is set on a hill from where it overlooks, to the east, the fertile plains of Ribeira de Aljezur. The coast can be seen a few kilometres to the west, and was easily reached by the river up until the 16 th century. In addition to these geographical characteristics and the immediate surroundings, it has an advantageous position in the corridor between the Alentejo coast and the Western Algarve. Probable due to the favourable geo-strategic conditions, the site was frequently occupied during periods of social instability. It is here that original traces of the current town are to be found, appropriately crowned by the emblematic castle and adapting to the rhythm of the hillside sloping down to the plain with its lean-to, single-storey houses. There are been archaeological excavations carried out during the last decade by the Archaeology Unit of the South-East Alentejo and Vicentina Coast Natural Park in collaboration with the Aljezur Town Hall directed by Carlos Tavares da Silva. These excavations have revealed much about the settlements on the hill of Aljezur Castle. There are a sequence of archaeological levels containing evidence of the end of the Bronze Age, around 3000 years ago. Other finds are from the second Iron Age to the Roman Republic, between the 4th and 1st century AD. There are also pieces from the Muslim and Medieval Christian periods as well as from the transition into the Modern Age (15th - 16th century), the period during which the site was definitively abandoned. Information on the hill's oldest settlements is extremely scarce. From the end of the Bronze Age, ceramic material has been found, irregularly, at a shallow level above the rocky substratum. Bronze Age and Roman Republic archaeological finds highlight the Mediterranean connection. 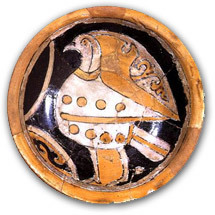 Together with local/regional production, imported items have been identified probably of Italic origin, such as the fine, ceramic country-style tableware in black, lustrous engobe, and the wine amphorae, from 2-1 century BC. The periods corresponding to the Iron Age and Roman Republic underwent intense erosion during the period when the site was abandoned prior to the arrival of the Muslims. Archaeological work has discovered two phases of the Muslim occupation. From the first phase, walls have been discovered whose upper part was built in taipa (clay-plasterwork), parts of houses with various storeyz, at times, paved. The current fortification would have been part of the Silves area's defensive system, during the Almoahd period (12th - 13th century), which stretched from today's Lagoa and Albufeira districts to Aljezur and the south Alentejan coast. Aljezur Castle has a polygonal plan, with the entrance facing east, defended by a semicircular bastion. On the opposite side, a rectangular tower was built. To the west of bastion, there is a bulwarked structure of uncertain date. Within the fortification there is a rectangular cistern (aljibe ). Silos dug into rock have also been discovered, which suggest that this fortified enclosure was also used for storage, probably collective. The diet of the Muslim population was extremely varied as shown by the abundant remains of booth wild and domestic animals which have found such as deer, fish and shellfish (numerous shells and mussels from the sea and estuary). Such information suggests that the economy was based on farming, cattle and fishing, supplemented by hunting and gathering shellfish. In addition the castle inhabitants also practised handicrafts, such as ironwork, shown by the foundry clinker in the area. The small Muslim fortification of Aljezur came into Christian possession during the reign of Afonso III, as result of an attack led by the Master of the Military Order of St. James, Paio Peres Correia. During the post-Muslim period rectangular and trapezoidal divisions were built along the length of the town walls, which were probably the troop's quarters. Aljezur Castle would, at that time, have a military function. Its definitive desertion took place at the beginning of the Modern Age. Ceramic waste that has appeared among the debris that filled the previously mentioned structures can be dated back to the 15th - 16th century. The written account of the Visit of the Order of St. James to Aljezur in 1482, specifically refers to the castle, already deserted and partially ruined (in the western curtain of the walls). The gates had no lock and were partially broken. There was, however, a clear concern about the need to reconstruct the outline of the ruined town walls, and clean the cistern where rubbish and rubble had gradually built up.